With the need to combine extensive HR information in one system, New Zealand’s Hutt City Council turned to Ingentis org.manager to visualize the contact details of its 450 employees, together with the organizational charts and floor plans in one HR dashboard. The advantages: transparency, flexibility and user-friendliness. 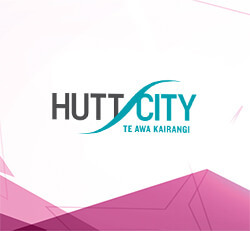 Hutt City Council is located in the Wellington Region of New Zealand and serves a community of more than 100,000 people. Hutt City Council wanted to publish organizational charts based on their data from Active Directory. The current employee directory data and floor plan layout were key functionalities to be kept. The challenge was to combine all this data in one system displaying also the organizational chart. A trial version was deployed and Ingentis worked with the Council to complete a proof of concept before final install. Ingentis org.manager has combined the information in one clear HR dashboard which users can access via the Council’s intranet. The big advantage: All information is in one place and is always up-to-date. The quick search takes the user directly to the employee in the organizational chart. 1. In the Detail View – contact information for job title, department, email, phone number as well as photo detail are shown. Furthermore, the user may send directly a message to colleagues from this view. 2. In the Org Chart View and Tree View the employee location via floorplan is displayed. The use of Ingentis org.manager has streamlined and simplified the collation and display of this important HR data. The Council is already planning to expand its dashboard incorporating further data sources to feed additional information, such as roles, as this data is not available in the Active Directory. The HR dashboard for Hutt City Council will continue to grow step by step – there are no limits for the design, layout or content.